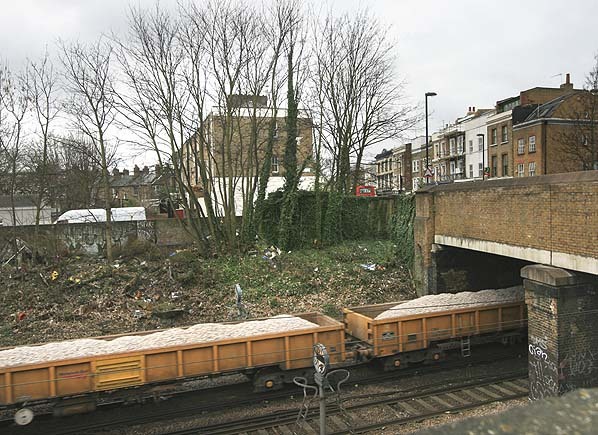 Present state: Nothing remains at track level but a small building or part of a building in Mildmay Grove South might be part of the street level building although it is known to have been a gents urinal in later years..
Notes: The station opened as Newington Road and Balls Pond Road and was renamed Canonbury on 1st July 1870. 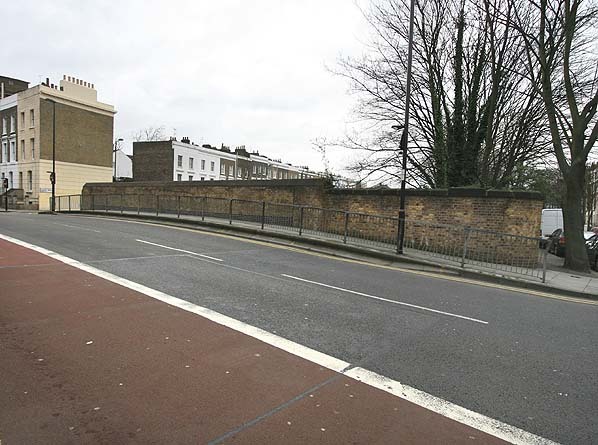 The station was resited to the west side of Douglas Road (now Wallace Road) on the 1st December 1870. The station is shown on Cruchley's map of 1865 as Balls Pond Station. locomotive and carriage works south of Bow station in 1863. 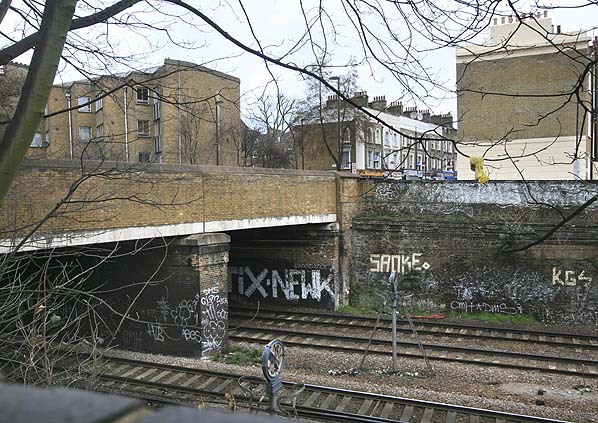 Newington Road & Balls Pond Station between Islington and Kingsland was opened in 1858 and a station was opened at Poplar, just north of the junction with the L & B in 1866. At this time, the through service to Fenchurch Street was withdrawn with trains terminating at Poplar with a shuttle service being introduced between Bow and Fenchurch Street and from 31st December 1868; this service was taken over by the Great Eastern.On the 18th May 1869 an eastwards spur was added at Bow onto the London Tilbury and Southern Railway allowing through running between Broad Street and Southend. After protracted negotiations the North London finally reached agreement with the London & Blackwall in 1870 for an eastern spur at Poplar allowing trains to reach Blackwall where passengers could catch the steamer services to Margate from Blackwall Pier. 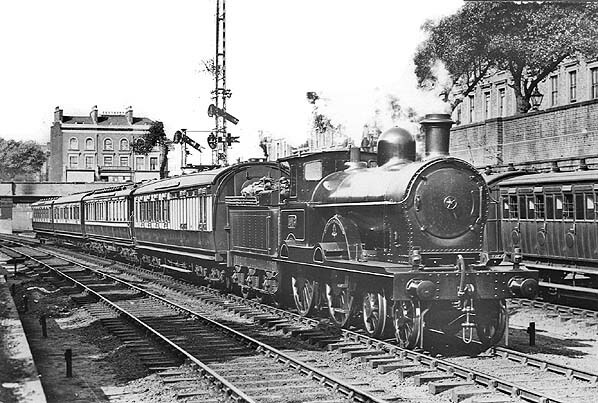 By this time however, the steamers were in decline and the train service was withdrawn in 1890 and the connection at Poplar was severed. Development Corporation which needed to provide public transport cheaply for the former docks area to stimulate regeneration. 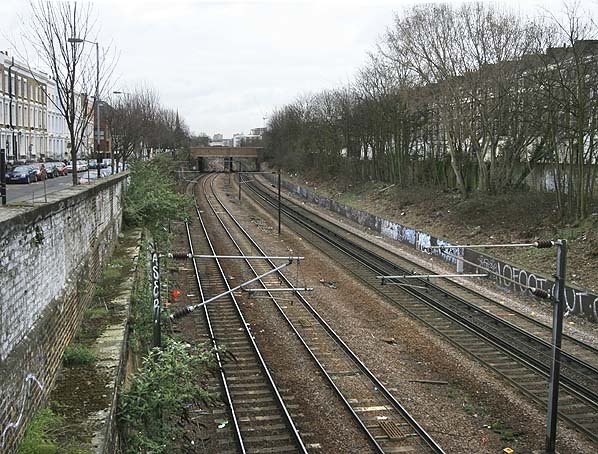 They chose a light-rail scheme using surviving railway infrastructure to link the West India Docks to Tower Hill and to a northern terminus at Stratford station utilising part of the former North London line between Poplar and Bow. Work began in 1984 with the construction of three branches, from Tower Gateway, Stratford and Island Gardens, the £77 million system was ready for use three years later and was officially opened by Queen Elizabeth II on 31 July, 1987.The Stratford branch used the track bed of the North London line from its junction with the former L & B at Poplar to a point just north of Bow station where it took a new route to Stratford running into a disused bay platform at the existing station. All Saints station was opened on the site of the North London's Poplar Station and at Bow, Bow Church Station opened on the south side of Bow Road, the original Bow Station having been on the north side; there was no direct replacement for South Bromley which was some distance north of the current Langdon Park station. 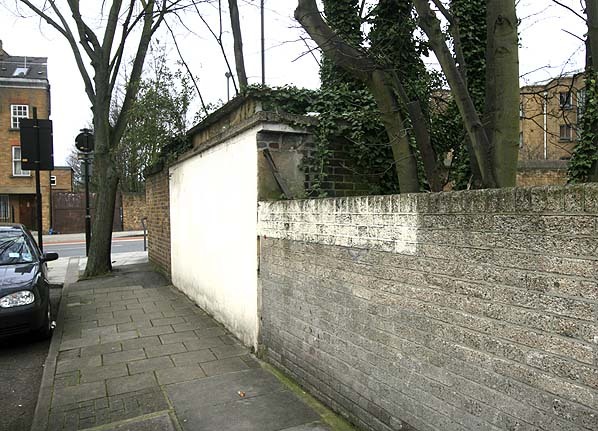 A small building or part of a building still stands at the site of the Canonbury street level building.This might be part of the original station building or may have no connection. It is known to have been a gents urinal in later years.